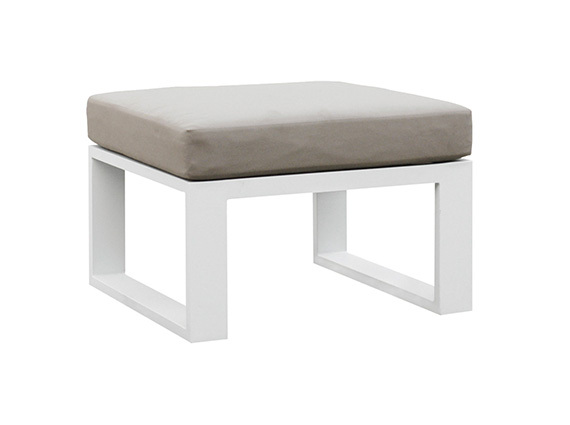 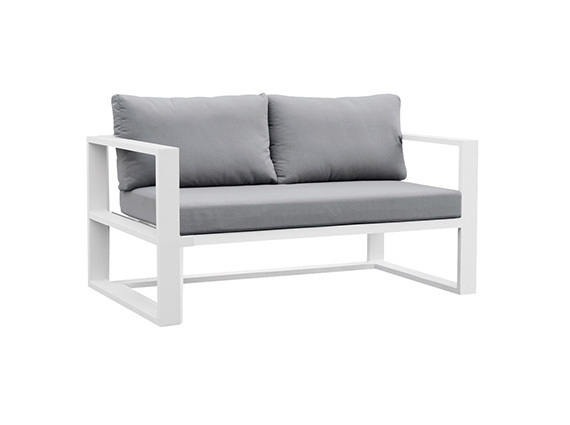 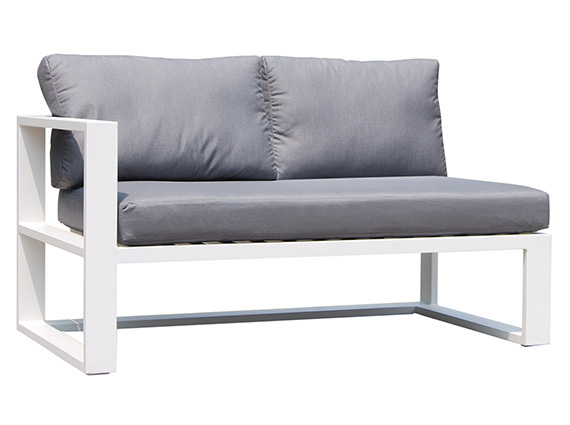 Monobloc sofas for indoors and outdoors. 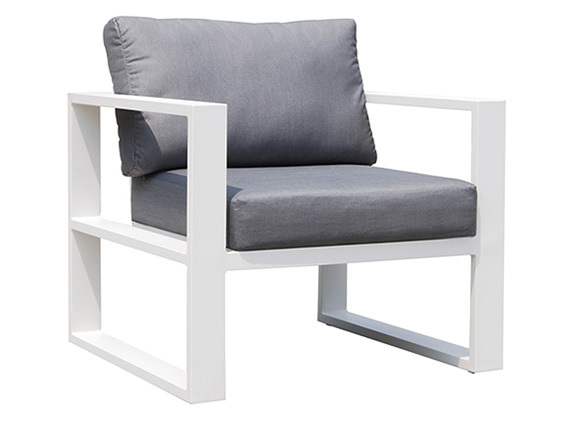 Low and linear, the chairs have a wide and deep seat for relaxed comfort. 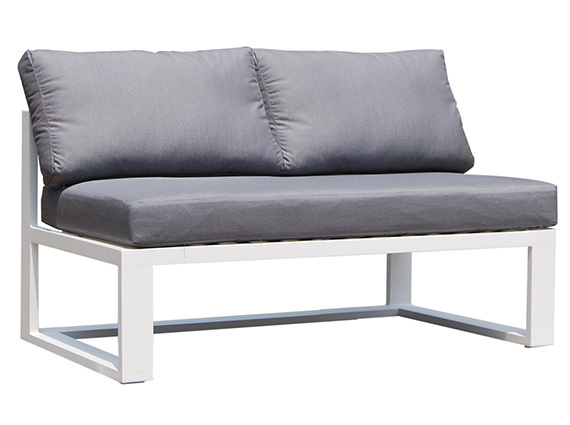 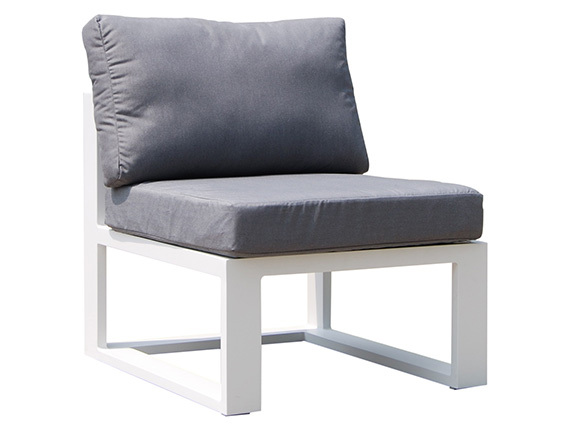 The neutral weather resistant fabric, 3 layer mold resistant foam cushions and powder coated aluminum frame bring durable comfort outdoors. 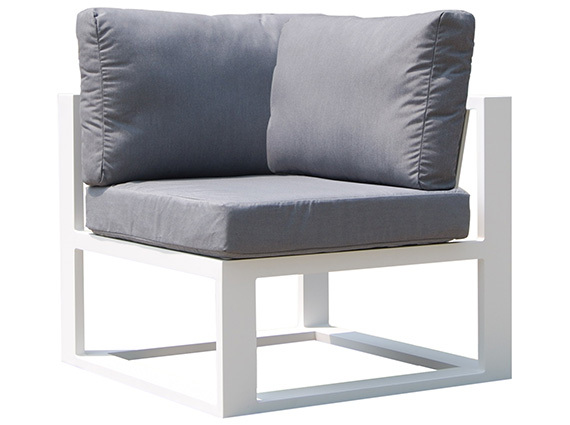 This fabric sofa set also comes with the dining chairs and stools, which you can find them in gardenart stores in France and Spain. 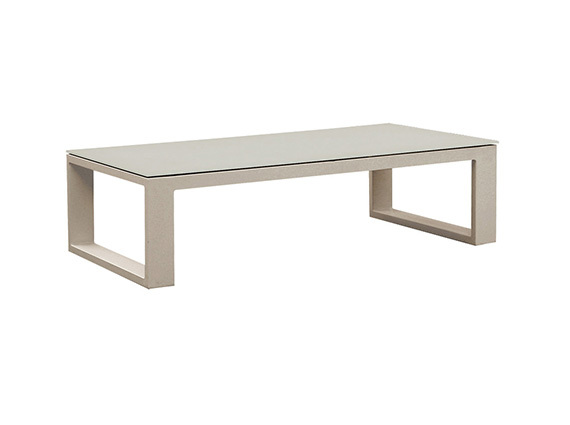 The Belluno glass coffee’ table with 8mm thick foggy top that are both durable and easy to wipe clean. 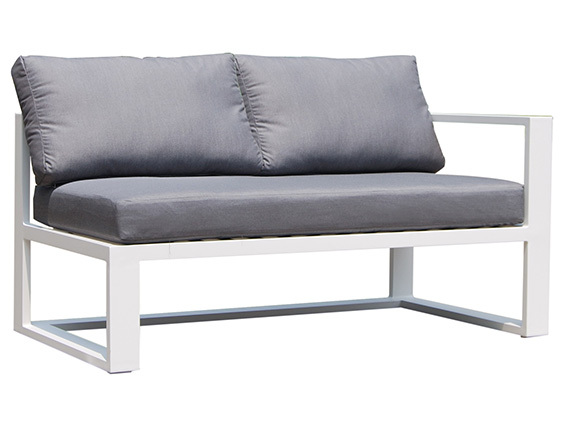 The Belluno modular furniture range uses the highest grade of Aluminum, superior fabrics and minimal design to create a modern and stylish masterpiece for your outdoor area.